The guidelines for colon and rectal cancer screenings have changed. The American Cancer Society now suggests these should begin happening at 45 years of age, five years earlier than previously recommended. Screenings may involve many different procedures such as DNA and blood tests and colonoscopies. Physicals should take place annually to ensure you are in optimal health. In addition to your regular physical, a colon and rectal screening should also occur if you are 45 or older, especially if you have risk factors for cancer. These changes in age range were prompted by rises in colon and rectal cancers in people who were not at risk in the past, including teens. As The American Cancer Society cannot explain the rise in diagnoses in populations would have had little to no risk of developing these cancers, they have lowered the age to begin these screenings in hopes of saving more lives through earlier detection. 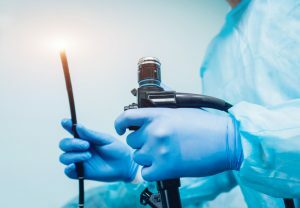 Compared to those born in the ‘40s and ‘50s, people born n the ‘80s and ‘90’s risks of developing colon cancer have doubled, while the risk for rectal cancer has quadrupled. Diagnoses in teens have skyrocketed, becoming a common occurrence in this population where it was once extremely rare. Studies have shown there has been a 51% increase in colorectal cancer in the under 50 population since 1994. WHAT ARE THE NUMBERS FOR COLON CANCER? Colon cancer is a very common diagnosis, it ranks third on the list of commonly diagnosed cancers in America. As of 2018, both colon and rectal cancer will kill around 50,000 people. 95,000 will be diagnosed with colon cancer and 40,000 will be given the terrible news they have rectal cancer. WHAT INCREASES YOUR RISKS OF DEVELOPING THESE CONDITIONS? 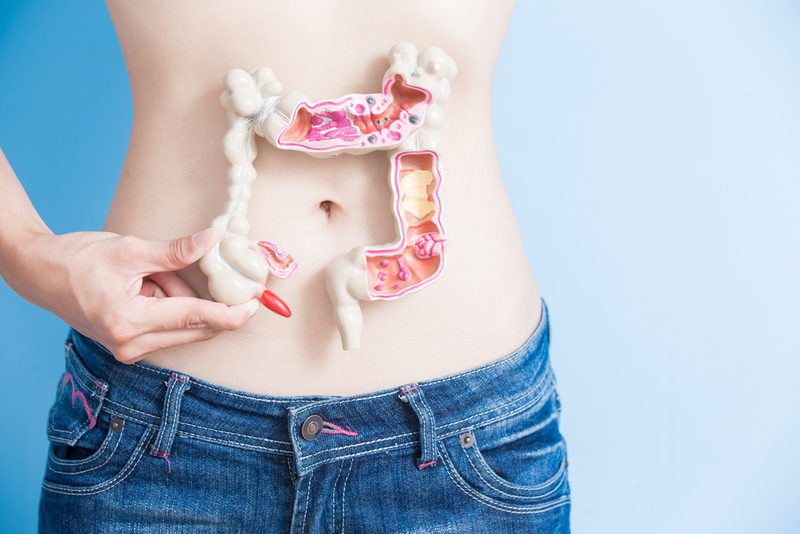 A family history or inflammatory bowel disease puts you at a much higher risk and preventative/diagnostic measures must be put in place earlier, says Dr. Richard Wender, of the American Cancer Society. 80 percent of people have an average risk and would do well to follow the new guidelines. WHAT CAN I EXPECT TO HAPPEN AT A COLORECTAL CANCER SCREENING? There are many aspects that may be included in a colorectal cancer screening. You may receive a colonoscopy, where a trained medical professional will insert a small camera into your body and look at your entire colon. Preparation for his procedure involved cleansing the colon as best as you can, which will be supplemented with a liquid that must be taken a few days before the procedure and the cessation of certain foods. You may also get DNA testing of your stool to check for malignant cells. i.e. cancerous cells. Other tests may include CT scans and blood tests. Colorectal cancers are expensive, especially if it isn’t covered by your insurance. Currently, all insurance companies cover colonoscopies when you reach the age of 50, but with the new guidelines, this will not be the case. The American Cancer Society is working to ensure insurance covers people who are younger and should be screened at 45, instead of 50. WHAT ARE SOME SYMPTOMS OF COLON CANCER? When you know the symptoms of colon cancer you can catch it early and start treatment. Blood in your stool or in the toilet is a big red flag that something is very wrong. You should never ignore this symptom. If colon cancer is the culprit, your feces will tear a tumor, causing bleeding, while blood may be in the stool if the issue is in the upper colon. If you see a few drops of bright red blood in the toilet or on the toilet paper, this is most likely a minor condition, especially if it isn’t in the stool, says Matthew Mintz, M.D., an internist. Gas or cramping that doesn’t go away could be a symptom of colon cancer. When polyps and tumors are present, this affects the digestive system and creates inflammation in the colon. You may feel full faster or like you still need to do a bowel movement after you have just pooped. Waking with sheets that are drenched in sweat could be a sign of many types of cancer, including colon, leukemia, and lymphoma. Night sweats occurred in 10 to 25 percent of people whose cancer has spread to other regions. There are many other symptoms such as thinning stool and darker poop. Colon cancer is rare in young guys. 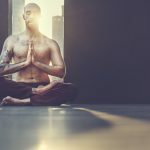 The Centers for Disease Control and Prevention (CDC) report the chance of a 30-year-old man had a 7 in 10,000 chance of developing colon cancer before his 40th birthday. 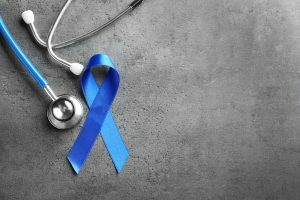 Often, due to the belief that colon cancer happens in older people, young people are being diagnosed late and progressing to more fatal stages. When colon cancer is caught early, the odds of survival are good. Around 90 percent of those with colon cancer that hasn’t spread survive at least five years. Once cancer has metastasized, i.e. spread to other organs, the survival rate goes down drastically. Some people have a survival rate as low as 20 percent. Diagnosis is very important. WHAT ARE SOME OTHER WAYS I CAN PREVENT COLORECTAL CANCER? A study conducted by the World Cancer Research Fund and American Institute for Cancer Research found that a healthy diet full of fiber and consistent physical activity may lower your risk of colorectal cancer. These groups also said less red meat, alcoholic beverages, and processed meat is an excellent way to lower your chance of suffering from these kinds of cancers. Colon and rectal cancers can can be quite common diagnoses, but they don’t have to be diagnosed late. Annual exams can help you maintain the best chance of survival.